Joanne Barby is an award winning artist from the South Coast of NSW, in Australia. Her artwork has been exhibited in many group shows, Galleries and is hung in private collections all over the world. She is one of only four artists worldwide that is endorsed by PanPastel on their “Paint, Draw, Blend” website http://paintdrawblend.com/artists/joanne-barby-2/. 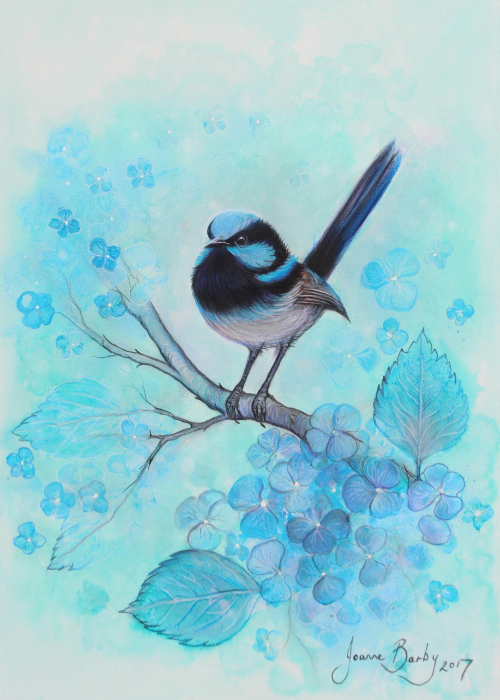 Because of her unique drawing style with PanPastel (“Color Mapping”), she conducts regular PanPastel workshops and demonstrations all over Australia and America. She particularly loves bringing out the creativity and renewed passion for art in others and feels she gets as much out of the workshops as her students. She strongly believes that the process of making art, is as important as the final result.Joanne's inspiration comes from truly “seeing” the beauty of life that surrounds us, from the sunlight hitting the waves of the ocean, drawing us in with its colors, shape and light. To the characters and personalities of some of the wildlife and birds she paints.